It’s impossible to analyze historical data you don’t collect. In search engine optimization, much of the data you need to manage performance over time is only temporarily available. These temporary reports I download and save as individual tabs in the same monthly spreadsheet. Each month I create a new spreadsheet with that month’s reports. Find a process that works for you based on what you feel you need and stick to it. There will come a day when you need the data and will be glad you did. Find a process that works for you based on what you feel you need and stick to it. There will come a day when you need the data and will be glad you did. 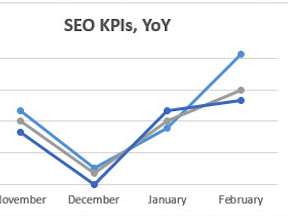 In a recent article, “SEO: Measuring Key Performance Indicators,” I outlined the case for setting strong goals and measuring with key performance indicators. The lifeblood of your organic search revenue, visits, and conversions, should be your SEO KPIs. This data is most critically useful in two dimensions: landing page and keyword. Landing page data identifies the pages on which organic searchers most frequently entered your site. In other words, they searched for something in Google or Bing and landed on your site on these pages most frequently. Keyword data is more difficult because 80 to 90 percent of it is typically not available for analysis in our analytics packages. To learn more about this phenomenon, caused by the search engines’ switch to secure search, read my article, “Understanding Google’s Keyword ‘Not Provided’ Data.” In any case, the keywords that searchers use to when they land on our sites are still valuable data to analyze, even though we need to remember that they are just a fraction of the true data set. For these two data types, collect visits and conversions (revenue or leads) at the least, and any other data points that your business measures regularly. For instance, if your company has a particular push to boost newsletter sign ups, you’d want to collect that type of conversion data as well. As for where to collect the data, go to your web analytics program of record, as well as your Google Webmaster Tools account. Your web analytics program is the source of truth for digital performance across channels and should be your primary KPI measurement. However, Google Webmaster Tools can provide valuable insight into landing pages and keyword performance that your analytics program cannot. The data is Google-specific and only available on a 90-day rolling time frame. If you don’t export it monthly, you can never analyze the data beyond 90 days again. The numbers will vary dramatically from your web analytics program, but you can analyze the data separately and compare the trends it shows to the trends you’re seeing in your standard web analytics program. Bottom line: Download the following visit and conversion data each month. Web Analytics: Organic search landing page report, visits, and conversions. Web Analytics: Organic search keyword referral report, visits, and conversions. The valuable data in rankings reports include the ranking in each search engine for the top keywords you’ve decided to track, the pages that are ranking for those keywords, and the change in ranking since last month. Depending on your rank-checking tool, this data may be in one large report or scattered across multiple reports. Export all of the relevant reports each month. Google Webmaster Tools’ top queries report also contains ranking and ranking change data, but only for the top phrases the site earns Google organic search traffic for. You can’t specify additional keywords to track. In any case, this data is already part of the report you’ll have downloaded above to analyze keyword referral visits. Bottom line: Download the following rankings data each month. Rankings: Keyword rankings for Google, Yahoo, and Bing. Rankings: Change in rankings from last month. Backlinks, the links other external sites make that point to pages on your site, are still an important aspect of authority and relevance. Changes in a site’s backlink profile can impact organic search performance. In addition, there may be times when you’ll need to analyze your site’s backlink profile to identify any negative elements that may be pulling organic search performance down. Google Webmaster Tools offers three backlink reports, but they’re only available as a snapshot in time. Today’s report is different from yesterday’s. Therefore, if you need to analyze the changes between this month and six months ago when performance was stronger, it’s impossible unless you exported and saved the data from six months ago. If you subscribe to an SEO analytics or management platform, like Searchmetrics and Rio SEO Bright Edge, it will also have backlinks reports. These should be exported as well. Lastly, Majestic SEO boasts the most extensive backlink database outside of the search engines themselves. For a small annual fee, you can analyze all of the backlinks Majestic has ever collected for your site with its Site Explorer crawler. These reports should also be exported monthly. 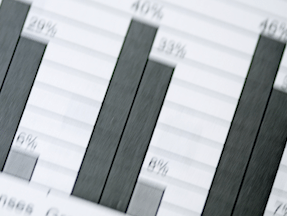 Bottom line: Download the following backlink data each month. Google Webmaster Tools: External linking domains report, “Download this table button” (Search Traffic > Links to Your Site > Who links the most > More). Google Webmaster Tools: External linking domains report, “Download latest links” button (Search Traffic > Links to Your Site > Who links the most > More). Google Webmaster Tools: Most Linked Pages report, “Download this table button.” (Search Traffic > Links to Your Site > Your most linked content > More). SEO data comes from many sources. Even if you have a subscription to an SEO analytics or management platform, additional data important to performance analysis and data-driven decisions may need to be analyzed outside of that platform. And some of that data is available for a limited period of time. Exporting the data into Excel gives you easier access to review trends and otherwise analyze the data any way you need to plan your next steps. For easy analysis and day-to-day maintenance, I may turn to an SEO platform. But if it’s a larger issue or an SEO crisis, I want access to all the data I might possibly need in one place. That’s an Excel spreadsheet. Each month at a specific point in the month, download all of the reports as separate tabs in a single Excel document. That way you’ll have a single place to go for all January 2015 data, all February 2015 data, all March 2015 data, and so on. You’ll have the data, and it will be organized in such a way that you can find what you need quickly. Exporting data is tedious. As an agency-based SEO director, I manage monthly data collection and analysis for tens of clients a month, and have done many myself over the years. Even though it’s tedious, stick to a monthly cycle of downloading reports containing every piece of data you anticipate needing in a crisis. Based on my long experience, that there will come a time that you’ll be glad you did.